Non La seems to become a "no separation" thing of many traveling enthusiasts. 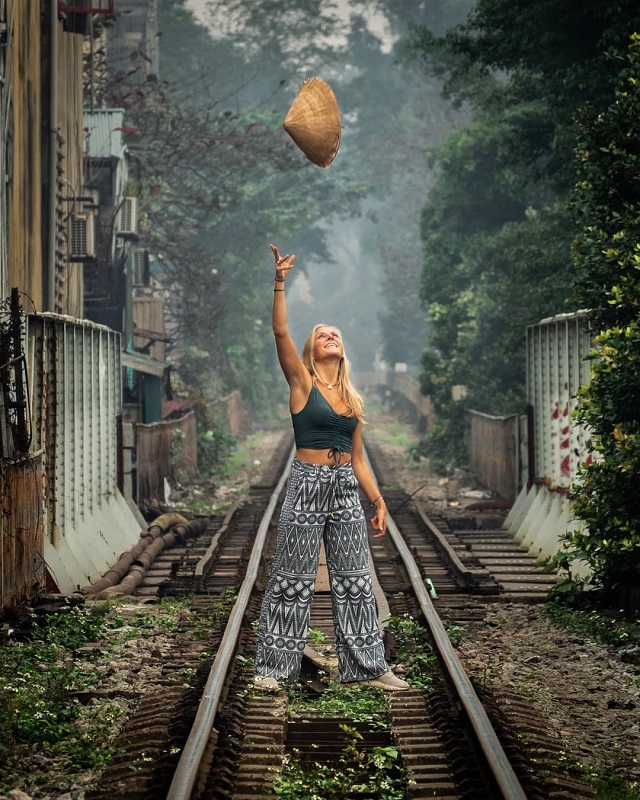 Photos of hats present on beautiful travel photos gradually become familiar trends. 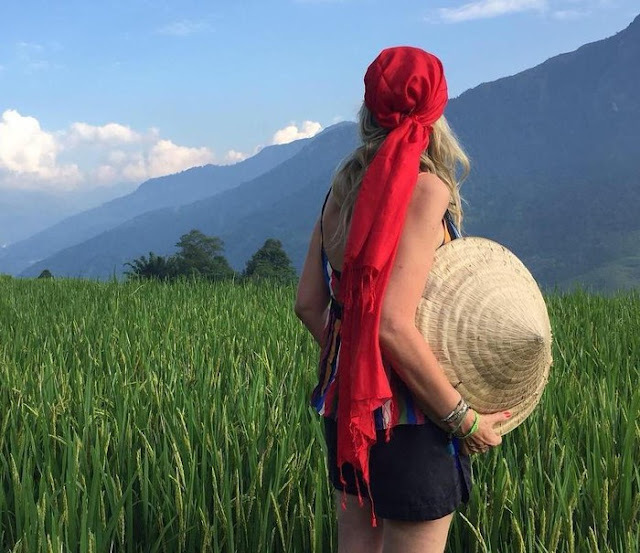 Lao Cai: The misty land of Sa Pa in Lao Cai province is one of the tourist attractions a lot of tourist enthusiasts both domestically and internationally. 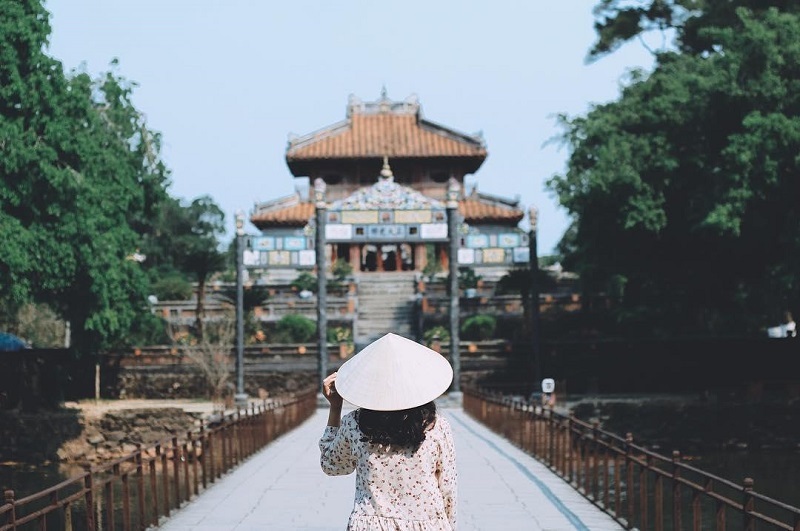 Here, tourists, especially foreigners often prefer check-in, virtual living with traditional Vietnamese Non La. Photo: Alma_por_el_mundo. Hanoi: The street of Hanoi capital also has many images of Non La, which can be used for most foreign tourists when coming here to cover the sun and take photos to keep memories. Photo: Anniandtimo. Ninh Binh: Not far from the capital of Hanoi, it can be said that Ninh Binh is a destination for traditional conical hats. Coming here, it is flawed if you forget to prepare yourself this familiar Non La to check-in, take photos. 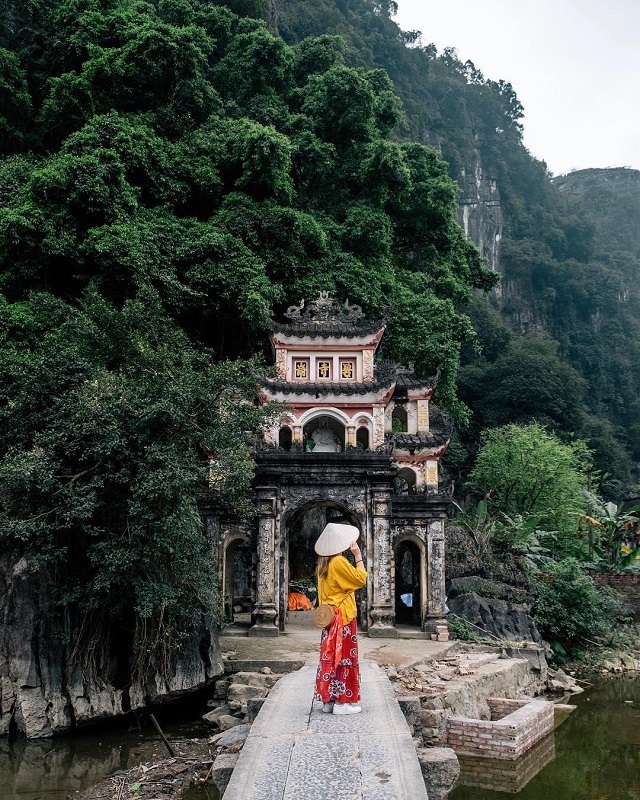 Places favored by young people to check-in with the most conical hats are Mua Cave, Tam Coc Cave - Bich Dong Cave, Bai Dinh Pagoda ... Photo: _Tyura_. Hue: Leaving the northern tourist destinations, coming to the ancient, ancient Hue capital, the Non La has soil to make more pictures here. The walls of the color of time in the Citadel, Tombs, Thien Mu Pagoda ... are all ideal backdrops to take pictures with the famous poem hat of Hue. Photo: Dinhhoangduc.hd. 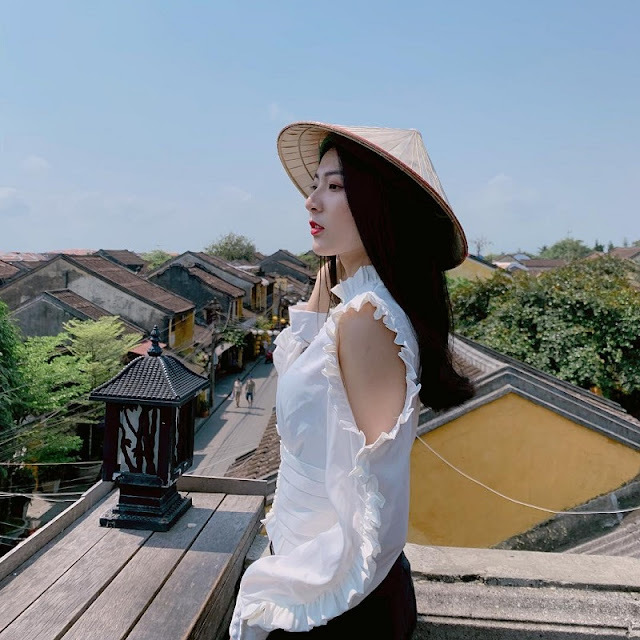 Quang Nam: Hoi An Ancient Town is located downstream of Thu Bon River, about 30 km from Da Nang City. Here, Non La are also one of the favorite check-in items for young people. Walking around Hoi An photo view on social networks, you will see this image appear everywhere, from cafes to alleys in the old urban area. Photos: Yangmy1506. 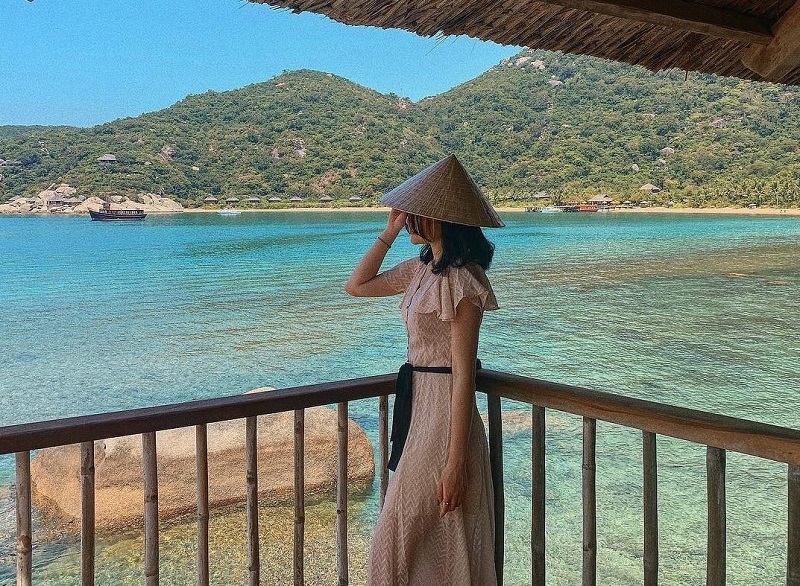 Khanh Hoa: Returning to Nha Trang (Khanh Hoa), an attractive tourist destination in the summer holidays, the Non La also appears tenderly in the blue sea in the bright yellow sunshine in the image of check-in of the world. young. Photo: Pthuy.anh. Phan Thiet: Forget the seas, a series of ancient temples, pagodas, Non La to the vast sand dunes, golden glow under the bright sun of Mui Ne tourist area (Phan Thiet). 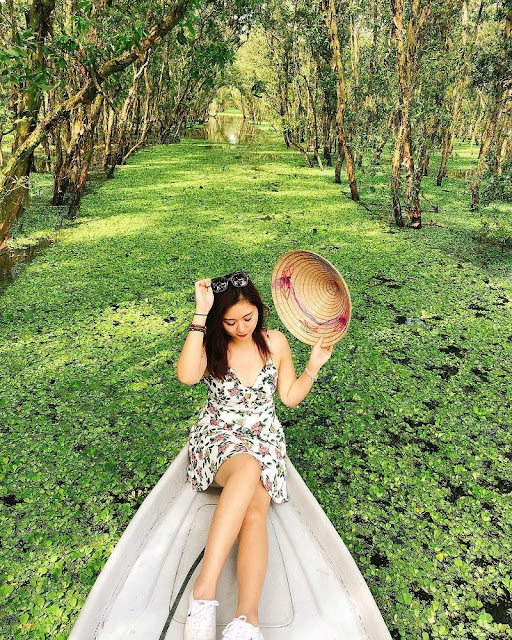 Choosing a Non La to take pictures here will make your picture much more unique, unique and attractive. Photo: Alex_hoang_. An Giang: An Giang river and water area in the Southwest region is always an attractive destination for tourists because of the natural scenery full of green color, beautiful pictures enchanted with dreamy rows of trees, peaceful melaleuca forest. 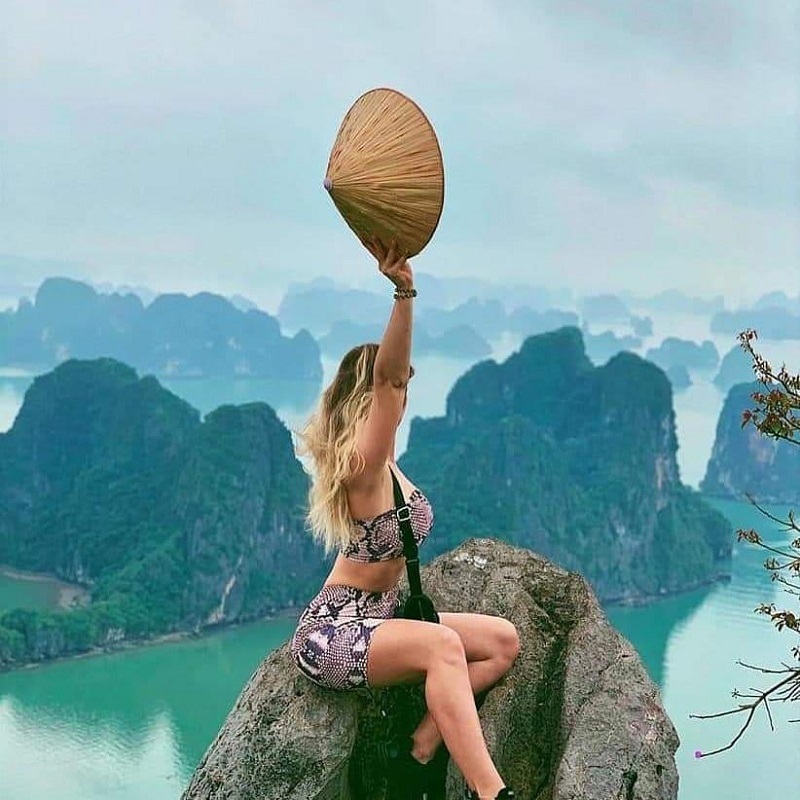 One of the tips for you to own a thousand likes picture is the leaf hat, the favorite "inseparable" of young people in the Vietnam tour.